The Mycroft AI offering is now closed and is no longer accepting investments. You can now commit investments up to the maximum amount through Bitcoin. Voice is coming to every device, every user and every household globally. Why? Because it is intuitive, simple and powerful. The voice market is growing exponentially. Smart speakers have already eclipsed smartphones as the fastest growing technology product ever. This growth has caused problems for companies that don’t have a voice solution. The companies that do have voice technology: Amazon, Google and Apple are competing head to head in nearly every major industrial vertical. Ten years ago Amazon sold books, now they sell cloud computing and space launch services. Google is building cars. Companies without a voice strategy have seen how Big Tech disrupts markets. They’ve learned from watching Apple eat the music industry and Amazon consume publishing. Smart companies do not want to send customer data to Silicon Valley anymore. Consumers are also waking to the importance of privacy. People have grown uncomfortable with pervasive surveillance from mobile phones, computers, and now, smart speakers. They want a to have a great experience without sacrificing privacy. Mycroft is the solution for both industry and individuals. Our community is building the open source alternative to proprietary voice technologies like Alexa, Siri and Assistant. Mycroft inhabits the open source segment of this huge emerging market. We started with a wireless speaker with a high quality microphone. This speaker is a reference device designed to give our developer community a foundation from which to innovate. We made it easy for people to get involved by releasing software for the Raspberry Pi and Linux. 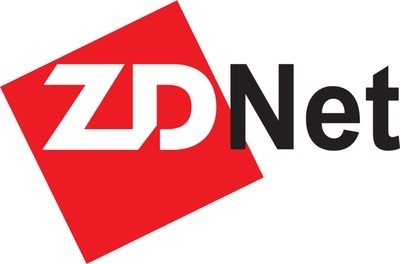 The company sold more than 2,000 Mark I reference devices. Then this year Mycroft took more than $450,000 in pre-orders for the Mark II. Don’t mistake Mycroft AI Inc. for a device maker. Mycroft is a software platform that allows developers to add a voice assistant to anything. Mycroft has raised more than $2,500,000 from institutional investors. Mycroft has raised institutional funding from investors around the world. Through Kickstarter, Indiegogo and recurring payments the Mycroft community has been enormously supportive, but so far our equity offerings have been restricted to accredited investors. Through StartEngine we are changing that, we want to give our community the opportunity to own a piece of the technology company they are helping to build. For corporate customers Mycroft provides an enterprise server license for $1,500/month. We work with companies directly or through third party resellers. 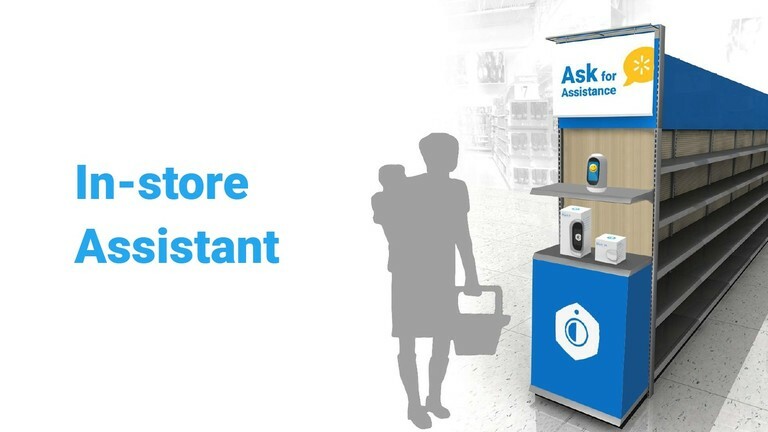 Mycroft helps brands deploy custom assistants. Individual consumers support Mycroft through a $2/month premium membership fee. $1.57/share of Non-Voting Common Stock. We are offering $1,070,000 in common stock at a $19.9M pre-money valuation. Investors and supporters who participate will be on equal footing with company employees who own the same class of stock. For members of the Mycroft community who believe in the future of voice and the power of open source this is an excellent opportunity to invest in a high risk, potentially high reward early stage technology company. Mycroft AI Inc has recently created a new R&D wholly-owned subsidiary, called Brass Cannon LLC. The purpose of this company is to separate the development of the open sourced Mykrosystem from Mycroft's central business. Mycroft AI Inc's role in Brass Cannon is limited to the company Manager being Joshua Montgomery, and if a project is identified to work on, Mycroft AI can be contracted for some or none of the work. This is an experiment in new technologies to see if privacy and user agency can be straightened with distributed ledgers. Currently, no development of this technology is underway. Mycroft’s voice-enabled assistant is embodied in the startup’s friendly-looking Mark 1 gadget, but you can build it into all kinds of devices. Can Mycroft’s Privacy-Centric Voice Assistant Take On Alexa And Google? The Mycroft Mark II is an open-source Amazon Echo clone that doesn’t store any voice data–for better and for worse. Mycroft, an open source artificial intelligence startup opened its Kickstarter campaign last week. It is getting ready to take on the heavyweights such as Amazon Echo, Apple Siri, Google Now, and Microsoft Cortana. Big tech has a problem: the better the technology's functionality, the worse the state of user privacy. Enter Kansas City's Mycroft, the world's first open-source AI voice assistant. Mycroft is free to download and use, and developers are invited to alter its code to expand and improve its functionality. Smart speakers are all the range in tech these days and soon it will be the battle of the titans. But as those giants scuffle, the small men, the consumers, sometimes get trampled on. Especially their privacy. It’s no secrets that the likes of Amazon and Google want your data. Engineers Ryan Sipes and Joshua Montgomery wanted their makerspace in Lawrence, Kansas, to be more intuitive. So they borrowed an artificial intelligence system from other makers and used it to do simple tasks, such as controlling the lights or playing music. Mycroft is building an open source voice assistant that can be used by an individual or a corporation. Being an open hardware platform, there are immense possibilities with Mycroft. Third-party developers can connect it to online services like Facebook and update their Facebook status by talking to Mycroft. How to build your own Amazon Echo. Seeking funding on Kickstarter, the Mycroft Smart Home AI Platform is voice-activated, cloud-connected, control device with Arduino and Raspberry Pi 2 at its core. When you issue a command to a virtual assistant like Siri, Alexa, or Cortana, natural language processing technology (NLP) allows the program to interpret your speech and respond in everyday language. As an alternative to these market leaders, Montgomery and his team created Mycroft. Mycroft AI is a home voice assistant similar Google Home and Amazon Alexa. But, unlike those, Mycroft is completely open source. You can purchase a ready-to-use device, or just install the software on something like a Raspberry Pi. A competitor for Amazon Alexa and Google Home, Mycroft's new voice-enabled device is open source and does not collect data without permission. Mycroft is what you would describe as a house computer, a device connected to your house, which acts like a virtual artificial intelligence. In this case, it's a clever mini PC named Mycroft, which is based on Raspberry Pi 2 and runs Ubuntu Snappy Core. Mycroft, with his large blue LED eyes, is reminiscent of a 1980s alarm clock. The intelligent vocal assistant Mark 1 stands out from competitors who have chosen a minimalist look (Echo, Home or Tianmao Jingling X1) launched by the digital giants Amazon, Google and Alibaba. Today is the 500 Startups Batch 20 Demo Day in San Francisco, CA. The startups will pitch to an audience of Venture Capitalists, Angel Investors, and decision makers at large tech companies, in hopes of closing their first (or next) round of funding. Quite some time ago, the Mycroft personal assistant was released. Unfortunately, that initial released failed to gain much traction. 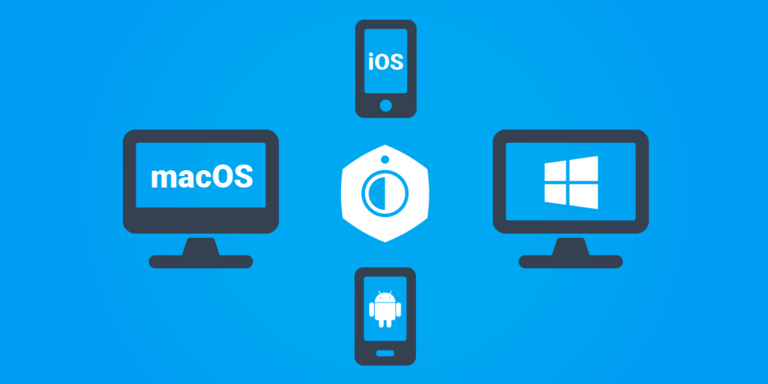 To many in the open source world that was a surprise, considering it was possible to install Mycroft on a desktop without having to buy the hardware. 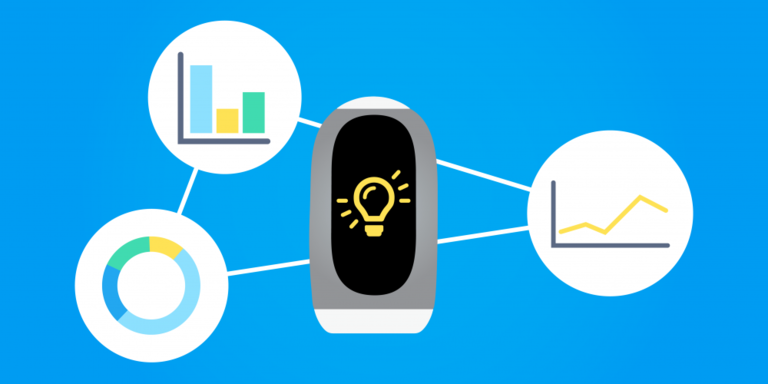 Mycroft is about to release its first smart display with a voice assistant called the Mark II. Amazon Echo Show helped get this product segment started in June and several Google Assistant partners announced smart speakers with displays (i.e. smart displays) at CES earlier this month. Mike (an abbreviation of Mycroft, the name of Sherlock Holmes’ brother) is a fun-loving supercomputer from Robert Heinlein’s classic sci-fi novel, The Moon is a Harsh Mistress. A character as far removed from the cold, austere as HAL as is possible, Mike becomes the best friend of the narrator. Google's Giving Away $3 Billion! Investment bank Morgan Stanley just did something very peculiar: It told Google to give away one of its “smart speakers” to everyone in America — for free. The cost of this giveaway? About $3 billion. Mycroft AI provides an open alternative to Apple’s Siri and Amazon Alexa. Voice is poised to be the next shift in human-machine interaction and Mycroft is positioned to be the voice platform of choice globally. Incumbent competitors like Apple, Google, and Amazon seem indestructible but historically, open alternatives become industry standards over closed ecosystems. This can be seen in embedded computing and servers (Linux), relational databases (MySQL), web content management (WordPress) and mobile operating systems (Android). Being the open alternative, Mycroft is available to both individual innovators who need a platform on which to build, and large enterprises that care about data privacy and vendor lock. Mycroft AI Inc. will offer 10% additional bonus shares for all investments that are committed by StartEngine Crowdfunding Inc. shareholders (with ≥ $1,000 invested in the StartEngine Reg A+ campaign) within 24 hours of this offering going live. StartEngine shareholders who have invested $1,000+ in the StartEngine Reg A+ campaign will receive a 10% bonus on this offering within a 24-hour window of their campaign launch date. This means you will receive a bonus for any shares you purchase. For example, if you buy 100 shares of Non-Voting Common Stock at $1.57 / share, you will receive 10 Non-Voting Common Stock bonus shares, meaning you'll own 110 shares for $1.57. Fractional shares will not be distributed and share bonuses will be determined by rounding down to the nearest whole share. Mycroft does not anticipate any irregular use of proceeds. As you might know, Mycroft AI has exceeded its minimum funding goal. When a company reaches its minimum on StartEngine, it's about to begin withdrawing funds. If you invested in Mycroft AI be on the lookout for an email that describes more about the disbursement process. As you can see, Mycroft has maxed out our goal. We’re so excited to be one of the few companies to reach the limit and bring aboard so many new investors. We wanted to share with you a logistical note on the oversubscription of a campaign. StartEngine allows commitments over the max dollar amount of the campaign (oversubscription), but we can only accept up to the exact upper limit of the offering. This means the oversubscription effectively becomes a ‘waitlist’ for investors as investments below them fall off due to missed confirmations or voids. Commitments to the campaign above the maximum amount are listed as “non-binding indications of interest” and placed on the waitlist. Potential investors in this situation will be contacted if space opens. Investments that would reach the max and go beyond will be placed fully on the waitlist, though StartEngine’s platform will suggest the maximum amount to have the investment finalized, and the investor can make another investment on the waitlist to cover the difference if space becomes available. Space becomes available when earlier investors do not confirm their investment through StartEngine’s systems. This can happen by having inaccurate or expired payment info, or not responding to StartEngine correspondence. Those investments become voided and are removed. When an investment is moved in from the waitlist, the potential investor will have 24 hours to confirm before the spot is offered to others. So, if you made your commitment before the maximum and want to ensure your investment is made, be sure to confirm it through email or in your StartEngine dashboard. If you’re on the waitlist, be sure to act quickly if you get notice that space has opened up for you. If you’re not on the waitlist yet, but are still interested in investing, join us! According to StartEngine, there is lots of movement in the end of a campaign, so there’s a good chance you’ll get your opportunity to invest. The campaign will remain open while the StartEngine team finishes up some behind-the-scenes work and investment confirmations. Thank you for your commitment to an open future for voice! We’re looking forward to closing the round shortly and officially welcoming you to the Mycroft team. We’re very excited to have reached the one million dollar mark on StartEngine. We’re so excited to have our Community and all the new individual investors as a deeper part of our journey. We had some investors reach out to us about the investment reconfirmation process and wanted to shed some light. We’ve been provided some screenshots so you can know what to look for. There are two ways you can quickly do this for us. Clicking "Confirm Investment" will confirm you as an investor and you will be done! Thank you! At that point, your investment in Mycroft should be confirmed! Thank you! On to updates. This week, we officially welcomed two new hires to the Mycroft team, and we’ll welcome another next week. Kris Gesling joins the team as Director of Developer Relations. Kris’s background is in mental health and wellness programs, primarily for Australian youth. In past work, Kris has been responsible for injecting and evaluating new technologies in programs, and reporting relevant metrics and improvements. We’re confident that Kris will stimulate Community engagement, improve communications and feedback from the Community to improve the product, and increase Community development output. Christopher Rogers joins the core team after years as a prolific Community Developer. Before joining the team, Christopher built some of Mycroft’s most used skills, including skills for Philips Hue and Routines of multiple skills and actions. Christopher will work part-time developing skills, starting in IoT -- one of Mycroft’s four most-used skill categories. Articles from CES continue to come in. Check out Silicon Prairie News for comments on building startups in the Midwest and the value of CES. I was also interviewed for the Voicebot Podcast CES edition, where I highlight B2B and B2B2C opportunities for the Mark II. The marketing team has published a few new funny videos to highlight the voice industry and some of its comical points. You can subscribe to this playlist on Youtube as there will be more to come. Last week, four members of our team made waves at CES in Las Vegas. 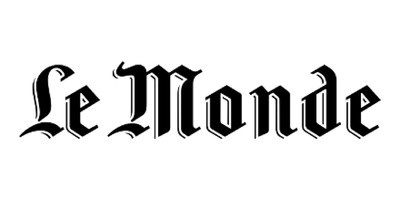 Big takeaways from the event are positive press coverage (see below), meetings with potential integrators and suppliers, and productive meetings with distributors. As a brief of Mycroft’s coverage at CES, check out our article in CNET from Ry Crist, who also wrote about the Mark I in 2015. 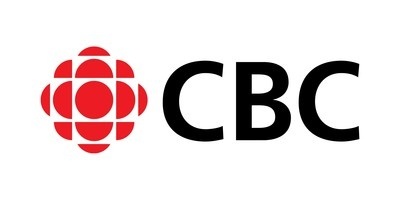 I was interviewed by Larry Magid for CBS radio, which you can listen to here. We were mentioned in this Slate article and this PCMag roundup, and more are still being published. Look out for a press roundup on the blog. We also got great news from our close partner Indiegogo and electronics supplier Arrow in winning the Internet of Arduino challenge, which includes a $50,000 prize. The Mycroft Mark I uses an Arduino Pro Mini to drive the faceplate and encoder button. Since there was voting on the CES floor and a large presence from Indiegogo and Arrow, there will be media coming from those channels to celebrate. We’re extending the the campaign to leverage coming CES press and to fill the round. With dedicated articles in CNET, mentions in Slate and PCMag, and more coming, we want to keep the campaign open for newcomers seeing the value in open voice technology. Additionally, very few Reg CF companies have ever reached the $1.07M milestone on StartEngine. Let's make Mycroft one of them. 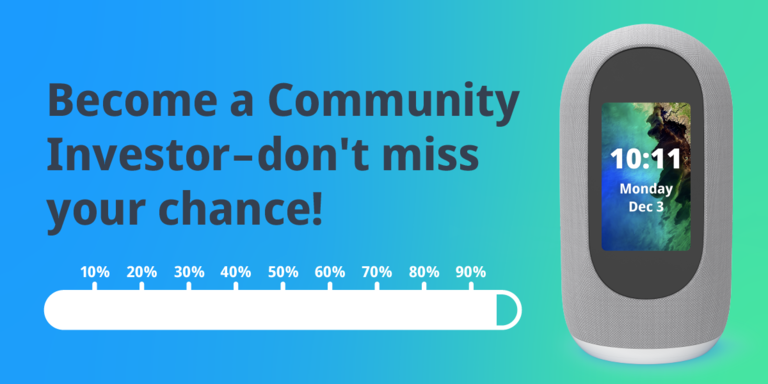 We’re nearing the limit of our StartEngine campaign and this may be the last opportunity for unaccredited investors to participate in Mycroft’s financing. If you know someone who might be a fit for our investor pool, someone who can share our journey, now is the time to share our campaign. Let anyone potentially interest know. You can also share with the links below. We have heard that there has been some confusion around actually investing in Mycroft through StartEngine. The process is both simple and confusing for the investor. First you raise your hand and put in details about payment, BUT depending on your payment method you may not actually be charged at this point. Most of the time you will be prompted to confirm your investment when we do a close or a material change (such as an extension). Make sure you check your email and your status on StartEngine. If anything reads ‘voided’ or ‘refunded’ unexpectedly, reach out to contact@startengine.com for help. Mycroft AI is extending the end date of their campaign and provided a notice of a concurrent offering. A warm welcome to the more than 160 people who have made investments in the last month. We’re happy to have you aboard. It’s been incredible to see the response from this Community recently, especially in the new year. If you’re following the campaign but haven’t invested yet, there’s no better time. This StartEngine campaign was a fixture for Mycroft in 2018. We welcomed 1024 investors making 1134 investments (yes! You can make multiple investments!) A special thanks to StartEngine investors who were already Investors in Mycroft or part of our Open Source Community. To those of you who are new to Mycroft thanks to StartEngine, welcome and we thank you for joining us on this endeavor. Mycroft is busy this week preparing for CES, which includes getting Mark II prototypes show-ready. If you’ll be in the Las Vegas area and would like to meet with Mycroft, reach out to eric@mycroft.ai who is heading our CES efforts. Keep an eye on Mycroft’s blog for a 2018 in Review post soon. 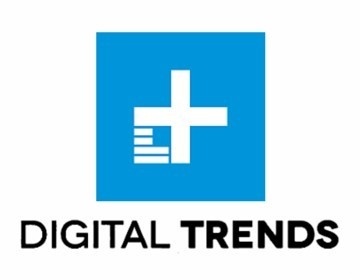 We’ll recap the years most-used skills, technology and business milestones, and more. 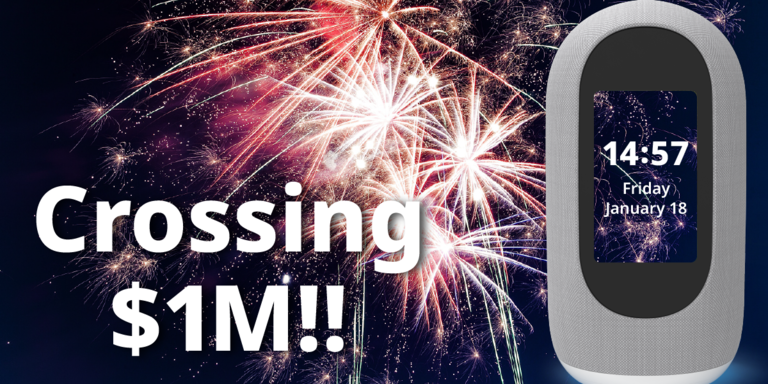 Here’s to a successful 2019 for Mycroft, thanks to you, our Investors and Community. To our investors who came on board in 2018, we’ve heard some reports of investments being voided or otherwise removed due to missed confirmations, credit card clearances, and similar issues. We value your commitment to Mycroft and want to ensure that there are no issues bringing you aboard. To ensure your investment has landed, make sure you check your email for notices from StartEninge, and check your StartEninge profile to confirm your investment. If your investment reads “Voided” or “Refunded” unexpectedly, you may need to reconfirm. As always, if you’re experiencing issues, StartEngine’s team at contact@startengine.com is ready to help. Deloitte recently posted a report on the smart speaker and voice assistant market. They estimate 98 million units will be sold by the end of 2018, and 164 million smart speakers to be sold in 2019. That’s just smart speakers, not any of the auxiliary services in software that providers could leverage. 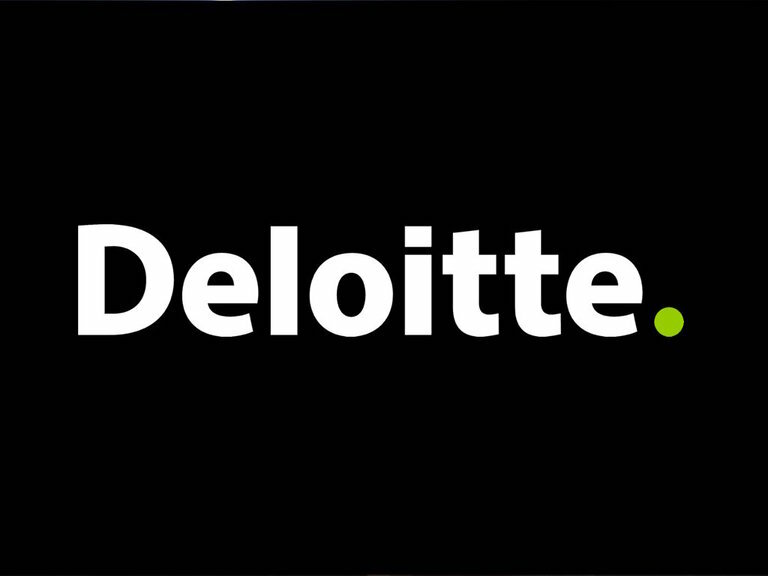 The Deloitte report highlights a high-growth short term outlook for the voice market. They also identify international support and accuracy as a key growth factor. But long term, it warns of the pitfalls that many players are setting up for themselves. Providing devices below the cost of production may lead to early gains but will be unsustainable long term and may hamper demand for those units. Likewise, if usage does not expand beyond the current top skills – music, weather, timers and alarms, and general information – usage may stagnate. Mycroft is set up to leverage the growth opportunities outlines in their report and withstand the warnings. We seeded international language support with our World Tour and Translation Suite. We price our devices sustainably to set expectations with our customers and sell them on the privacy and data ownership they maintain with our services. We don’t limit developers building skills, allowing them to truly innovate using Mycroft. This is how we’ll find the truly disruptive uses for a voice assistant, by encouraging experimentation, openly and transparently, worldwide. 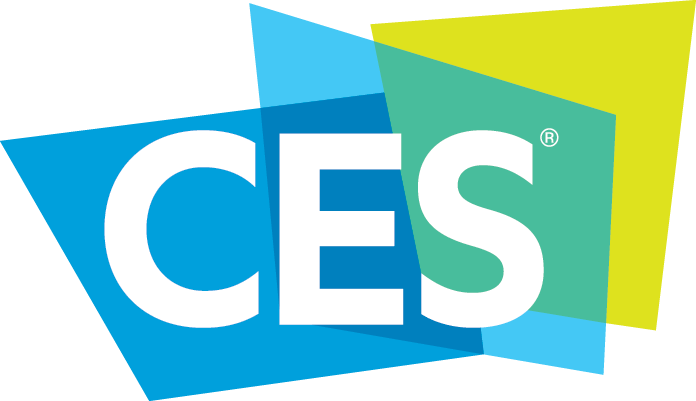 Mycroft will be sharing this message at CES on January 8-11 in Las Vegas. We’re in Sands Convention Center Hall G - Eureka Park - Booth 51507. 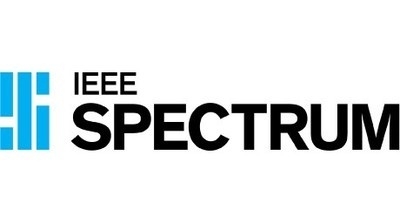 Today only, we have free tickets to CES for our Community. You can find a link to the tickets on our blog. https://mycroft.ai/blog/mycroft-at-ces-2019/ After today, tickets at that link are $100 off. A large portion of the skills available in the Mycroft Skill Marketplace are Community contributed. But to ensure a quality user experience, Skills need to be vetted before being accepted into the repository of Mycroft Skills. Today, we announced Mycroft Skill Tester positions for our Community. This will be a valuable program. Skill Testers will vet the functionality and usability of skills and will move more skill through the acceptance process faster. They also provide feedback to Mycroft's team on Skill documentation, common issues, and other improvements. Skill Testers will also open time that Mycroft team developers set aside to test skills, freeing them up for different tasks. Mycroft maintains other Community positions such as the Skills Team which is a Community board that works to guide the frameworks of Skills, how they interact with Mycroft Core, and advocate for Community needs for Skill development. 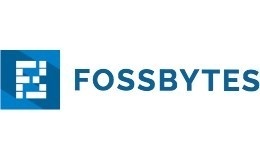 We also have close Community members regularly updating our device enclosures for Mark I, Picroft, and AIY Kit, contributing to Mycroft Core, and providing front-line support in the forum. We've been connected with a company called VoiceItt for a couple years now. They build voice recognition technology for non-standard speakers. Their work is allowing people with speech disabilities and communication disorders to interact more naturally with people and technology. They recently released this promotional of the abilities of their speech recognition coupled with Mycroft's NLP and Skills. It's a great example of not only the utility of Mycroft, but its ability to really improve people's lives. VoiceItt is able to do this because Mycroft is open and allows them to extend the technology without limitations. This is the first update to our broader investor group which now numbers more than 900 investors around the world. 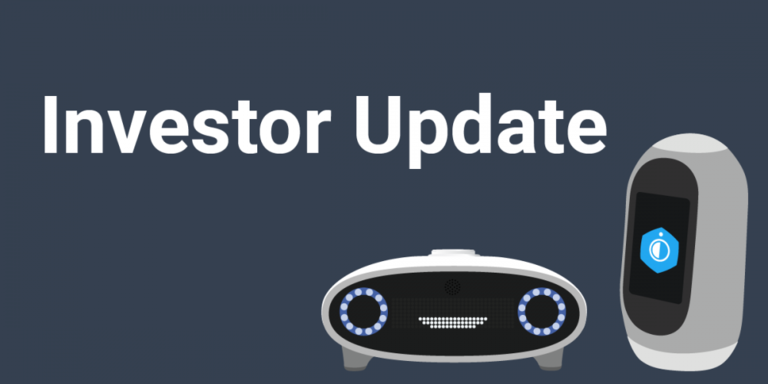 For those of you who are new to Mycroft, you should know that we aim to send an update on a monthly basis to keep everyone up to date. Those of you who joined our investor group before the recent StartEngine effort are probably used to getting financial information. We are now a quasi-public entity and for competitive reasons, we can no longer hand out such detailed information. We have, however, included summary financials for your review. 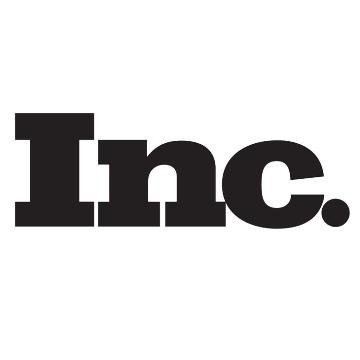 We found a Series A lead who committed to a $5M investment and funded the first $900K. Mycroft closed a deal with a huge multinational customer for a white label version of our product and invoiced the first $20K. This has the potential to be a game-changing relationship. The total engagement has been priced in the mid-seven figures and includes a residual. We can’t name them because of an NDA. We deployed a large chunk of the first $900K to our contract manufacturer Teksun and our supplier Avnet who used them to procure parts. Teksun is working with the design and hardware teams to tweak the design for mass production and we expect to see the first units in late December. We are way ahead of our original plan for graphics on the Mark II. Our original concept was a simple display driven by a frame buffer. Due to an accelerated engagement with the KDE Plasma Team, we are now well on our way to having full OpenGL support. Hardware is hard. We might not see the first production units until Q1 2019. The company’s top priority right now is hiring, followed by getting the Mark II into mass production and finally releasing our first production software in February. If anyone in our investment group wants to participate meaningfully in our Series A ( $50K+ ) and can move fast, please contact me. Accredited investors who participated in our Angel Round or Series Seed may be able to convert their existing Common to Series A Preferred as part of this arrangement, but only if there is enough interest to warrant the investment in time and resources. Our financial performance is as expected and, with significant runway in place, we have begun spending time doing longer-term projections. If anyone wants to participate meaningfully in our Series A ( $50K+ ) and can move fast, please contact me. We’re looking at converting common to preferred for participants, but need to gauge appetite. We found a Series A lead who committed to a $5M investment and funded the first $900K. Our lead investor has asked to remain anonymous for competitive reasons, but we are very happy to have them on board. This represents 18 to 24 months of runway depending on sales. Mycroft closed a deal with a huge multinational customer for a white label version of our product and invoiced the first $20K. This has the potential to be a game-changing relationship. The total engagement has been priced in the mid-seven figures and includes a residual. We can’t name them because of an NDA. The customer wants to deploy a full voice experience including speakers both with and without a screen. We’ve delivered the first phase of the contract and are working toward a much larger follow-on arrangement. We don’t want to make any promises, but the engagement has real potential. We deployed a large chunk of the first $900K to our contract manufacturer Teksun and our supplier Avnet who used them to procure parts. A large portion of the first $900K of our Series A went to procure parts. Hardware components are in high demand and there are significant lead times on many components. In fact, we ordered the Xilinx microprocessors and RAM several months ago so we could take delivery in time to ship the Mark II this year. That means we don’t have as much cash on hand as I’d like and makes it very important to fund the remainder of the round soon. Teksun is working with the design and hardware teams to tweak the design for mass production and we expect to see the first units in late December. There is a gap between the initial prototypes of a printed circuit board (PCB) and mass production. During this time the team works to make sure that the physical board meets the specification and coordinates with the various component supplier to integrate drivers and software. We’ve got 7x boards running and another 10x on the way. The next shipment will be 100x, then we’ll start running production quantities. Today, however, working Mark II units are few and far between ( literally - units are being FedExed around the world to allow developers to spend time with them. We currently have units in India, Europe and the United States ). We are way ahead of our original plan for graphics on the Mark II. Our original concept was a simple display driven by a frame buffer. Due to an accelerated engagement with the KDE Plasma Team, we are now well on our way to having full OpenGL support. The KDE Plasma team just spent two weeks with the Mycroft team in Kansas City working on integrating KDE technology into the Mark II. This work included developing a GUI framework that allows Mycroft Core to control the graphics and a series of other software applications to make the Mark II display awesome. Also part of this effort was an early Mycroft Android App and a lot of design work on Mycroft specific GUI components. Our original plan was to ship the Mark II with a frame buffer driver and keep the GUI simple while we worked on the voice experience, but the addition of several developers from Blue Systems was too great an opportunity to pass up. Hardware is hard. We might not see the first production units until Q1 2018. Don’t freak out. This is normal for a company making hardware and it happened with the Mark I as well. In fact, we’ve given a lot of thought to the process we went through for the Mark I and decided that we froze the design too soon. Had we done a bit more work on the ground plane of the PCB and the plastics we may have ended up with a much better product. We don’t want to make the same mistake again, so we are testing everything as we go and will not be “pencil’s down” until the product works as planned. This isn’t necessarily a bad thing. A buyer at Walmart asked us a question that was both obvious and insightful. “If our first production software doesn’t roll out until February, but the Mark II ships in December, what software are we planning to run on the Mark II?” An excellent question. For non-developers, we may hold off shipping the Mark II until February. The company’s top priority right now is hiring. Offers will go out as soon as the remainder of our Series A closes. Currently, we have (8) positions listed with more to come. If you know anyone who might be a fit, please direct them to https://mycroft.ai/careers/. We know the best candidates are ones that have a passion for what they do, so they probably already have a job. We want to offer hard-working, excited people the ability to change the voice technology landscape. Sharing our careers page with your network will be beneficial in finding the right people for the team. If anyone in our investment group wants to participate meaningfully ( $50K+ ) and can move fast, please contact me. Accredited investors who participated in our Angel Round or Series Seed may be able to convert their existing common to Series A preferred as part of this arrangement, but only if there is enough interest to warrant the investment in time and resources. Our Series A is structured in an unusual way with our lead investor taking the entire round. This is both a convenience and a risk. I’ve always planned to offer our existing investors pro-rata rights in our Series A, but had planned to advocate for it after the first close. With December fast approaching I’m open to closing some funds early. If you’ve got an interest, please let me know. I’m considering advocating to allow any of our existing accredited investors to convert their Common Non-Voting shares into Series A preferred, but that is going to require some negotiations and legal work, so I want to be sure there is real interest before we invest the time and resources. We sell paid memberships to our platform for $2 per month. As near as we can tell the people who sign up for paid memberships do so as patrons of the company and its open source mission. We have recently been testing different areas of marketing, and have found some levers that increase the conversion of Mycroft community members into paid members. In 2019, we will be adding more features to the paid membership tier to encourage subscriptions. We understand this is an exchange of money for value and plan. 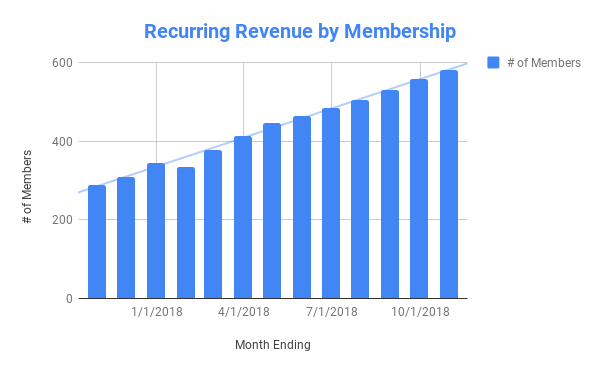 Membership estimates do not include any recurring revenue from Enterprise, however, we have multiple proposals out to help other companies that may provide significant recurring revenue in the future. 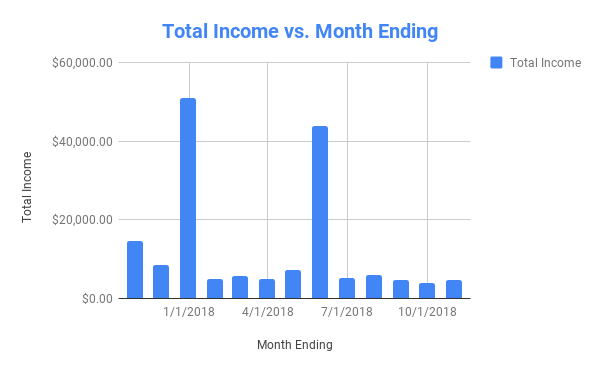 Since Mycroft is in a BETA and most of our realized income is related to Mark I sales and paid memberships. 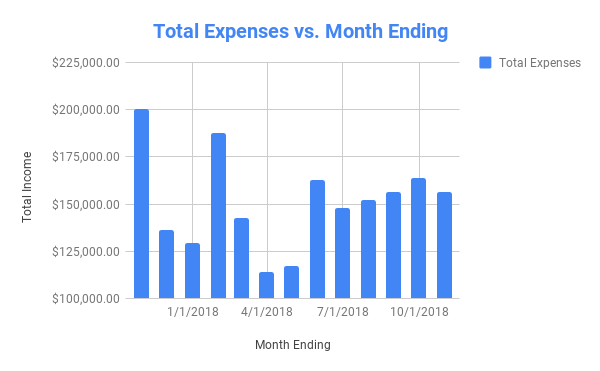 We’ve done very little marketing around Mark I sales, but once the Mark II ships and our software moves to production we will begin investing in growing our monthly income. Eventually, we expect white label smart speakers and enterprise engagements to provide the bulk of our revenue. As with Revenue, Expenses are very dependent on our current focus. Our team is our primary asset and payroll makes up a bulk of our expenses, however, creating a new hardware product requires non-recurring expenditures. As we approach the release of the Mark II NRE charges will go down. In 2019, we plan on creating two more products, Mark III and Mark Ia which will also incur NRE charges, however, we expect to see significant savings because the Mark III makes use of the Mark II PCB. Job Postings - Share around your networks! Mycroft has positions open across the company, from developing and deploying software, to interaction and UX design, to marketing. Our current position allows us to grow the team, diversify, and add experience in areas like electric and mechanical engineering, devops, and front end development. You can read briefs on the positions on the blog and send the careers page to interested candidates. Positions are listed in Kansas City but are open to remote work to the right candidates! Our investors have always been a source of applicants, advisors, and more, so your recommendations and referrals are appreciated. 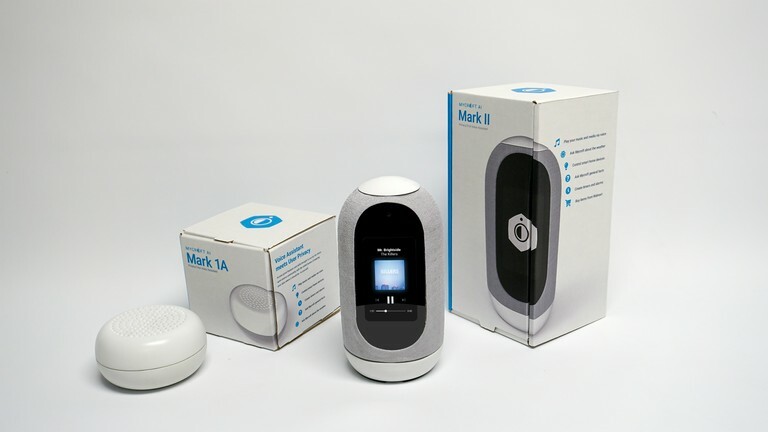 In other news, we recently announced on the blog our decision to partner with Teksun as contract manufacturer for the Mark II, revealed an updated Mark II design with a fabric faceplate instead of a full fabric cover, and updated the community on delivery timelines, display, and GUI progress. 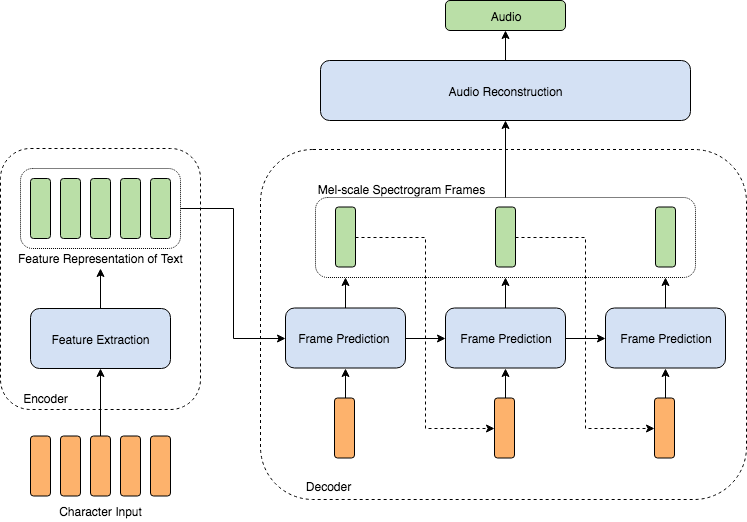 Our marketing and community teams also published our first Guest Blog Post with a high-level overview of Speech Recognition and a call to action for Precise and DeepSpeech tagging for the Open Dataset. There are more Guest Blogs in the pipeline, including one from a community member using Mycroft to teach programming and robotics to children. Be on the lookout. We did a Reddit “Ask Me Anything” last week which went extremely well. It was seen by hundreds of thousands of people and has resulted in a significant uptick in sales of our Mark II, resumes for our hiring effort and inquiries from a couple of big brands. One of the big requests we got was to extend our campaign so people could invest. We got these both on the AMA and on the StartEngine page. As a result, we extended it by 60 days. Please be aware that this may be the last extension since we are in the process of closing our Series A. We appreciate all of the interest the Reddit community has generated and have really enjoyed the positive feedback. Issuer extending campaign by 60 days. My AMA on Reddit this Wednesday was a rousing success. To this point, there have been over 650 questions, 5,700 upvotes, and 750,000 views from our community and thousands of newcomers. The AMA was top trending on the r/IAmA Subreddit for Wednesday and Thursday. The increased visibility drove preorders on our Indiegogo to their best day yet, 800% higher than our average. Mycroft user signups were up 170% on Wednesday and 180% on Thursday. The AMA thread remains up on Reddit. There's tons of info, opinion, and backstory contained within, plus some personal bits you may not know -- it was an Ask Me Anything -- so stop by to read some questions. Three quarters of a million people stopped in to read about a private voice assistant, and thousands engaged positively to show their support for an open, transparent, private player in voice. 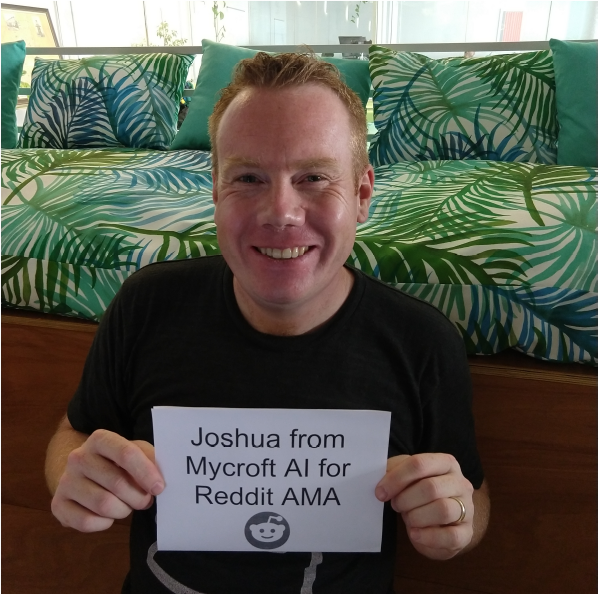 I've been accepted by the official Reddit Ask Me Anything channel - r/IAmA - to give an AMA on Mycroft, data privacy, user agency, and anything! I'll be live tomorrow, 9:30 am EST - 2:30 pm GMT. You can get more info on the Mycroft Blog (https://mycroft.ai/blog/ask-our-ceo-anything/) where we'll add the link to the thread as soon as it is live. Hope to see you there. If you've had general Mycroft questions outside of the offering, this is a great opportunity to share them and have them answered. I put together a blog last week in response to "Big Blue" IBM's acquisition of Open Source giant Red Hat. It was a tough one to write. On one hand, this is a proof point to the value of Open Source as a business model. Red Hat was doing quite well for itself anyway and was picked up at a premium. However, I don't outright trust IBM to respect the Open Source nature of Red Hat. IBM's recent MO has been protecting their intellectual property and I don't expect them to show great consideration for Red Hat's Open Source software like the Fedora desktop and their associated Communities. Mycroft AI Inc. has funded a $900,000 investment from a strategic investor headquartered in Europe. This is the first installment of a $5,000,000 commitment toward the company’s Series A financing. The investment came as a convertible note that will convert into preferred equity at the same price currently being offered via the company’s online public offering at https://startengine.com/mycroft-ai . Mycroft is using the funds to begin large-scale production of the Mark II smart speaker and to expand the engineering team. Mycroft is now hiring software engineers, data scientists, designers and product engineers. 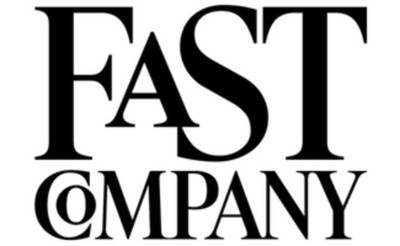 The company plans double in size by hiring 16 full-time positions in the next 18 months. These additional engineers and designers will accelerate development and will be a great addition to the already high growth technology scene in Kansas City. Funds will also be used to expand the company’s presence at the annual Consumer Electronics Show where Mycroft will unveil two new products for 2019. The company has a goal of shipping three products next year through major retail partners both in the United States and overseas. This $5,000,000 commitment is the first page in the next chapter of Kansas City-based Mycroft’s success story. 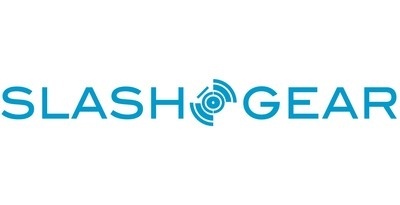 This funds significant growth of the company’s capabilities and will result in several new privacy-focused products in 2019. Mycroft AI has received an additional round of financing. Thanks to an above and beyond effort by Mycroft community manager Kathy Reid, the Mycroft Translate Tools are now online. 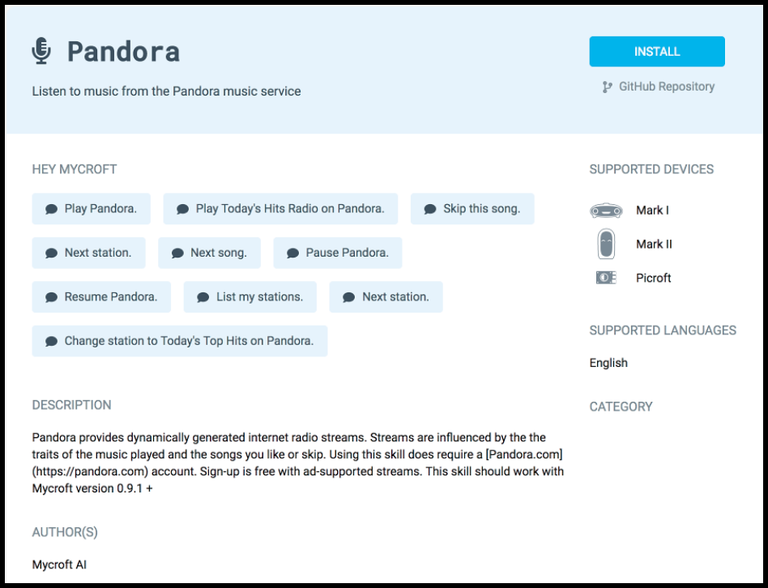 These tools make it easy to bring additional language support to the world’s open source voice assistant. That means folks who speak languages that Big Tech has deemed “irrelevant” will soon have access to this important technology. These tools are also the first step towards our eventual goal of providing real-time simultaneous translation using Mycroft. Though we’ve set not timeline for this feature, the data our community is donating will make it possible in the next year or so. Combined with Mimic we see this capability as an opportunity to connect people. Using Mycroft on Android people who speak French will be able to speak to people who speak Icelandic using their own voice. If you are interested in helping to build Mycroft support for your language head on over to https://translate.mycroft.ai and pitch in. Our StartEngine campaign now includes more than 700 investors from around the globe. Join them today and become a member of our community, an partial owner of our company and a supporter of an open future for voice. Invest now. Mycroft was selected as a Top Deal on crowdfunding research website Kingscrowd. Mycroft was selected based on the market size, our team’s execution, and our focus on privacy. If you’re interested in learning more about Kingscrowd’s take on Mycroft, please head over and give their analysis a read. 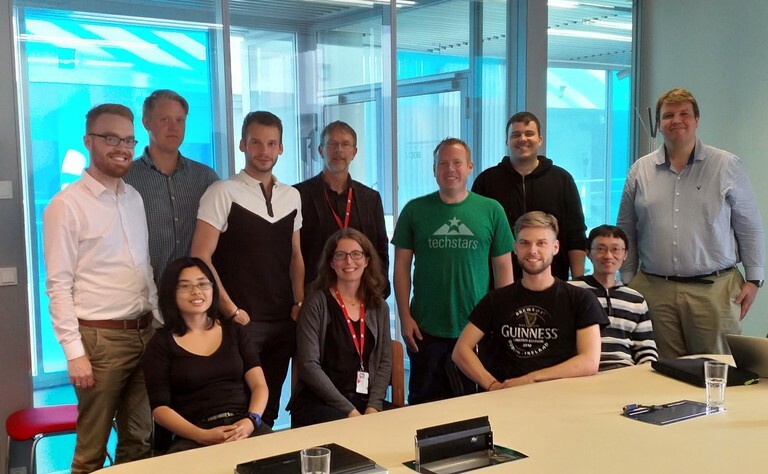 The team also took some time this week to discuss our plans to support other ecosystems like Android and Windows. Building technology for these platforms is critical to our future success and to people who want to use one voice technology across all of their devices. A few weeks ago we published a blog post where we compared Mycroft’s response time with the response times of Amazon’s Alexa and Google’s Assistant. This was the first time we did a comparison and is the baseline from which we’re working to improve the user experience. Over the past couple of weeks the team has been developing solutions to improve our response time. 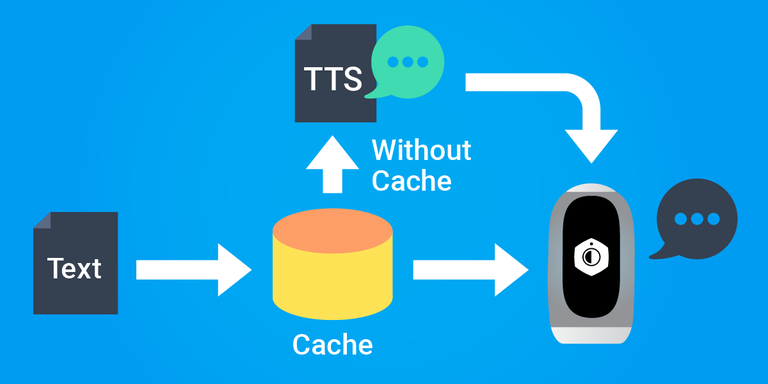 This week we published data showing that we’ve cut our text-to-speech response times for common queries in half. Of course there is still a lot of work to do surrounding user experience, but the team is off to a great start and we expect to see significant improvements between now and our first production release in February of next year. Over the past month, we have been meeting with community members across Europe. 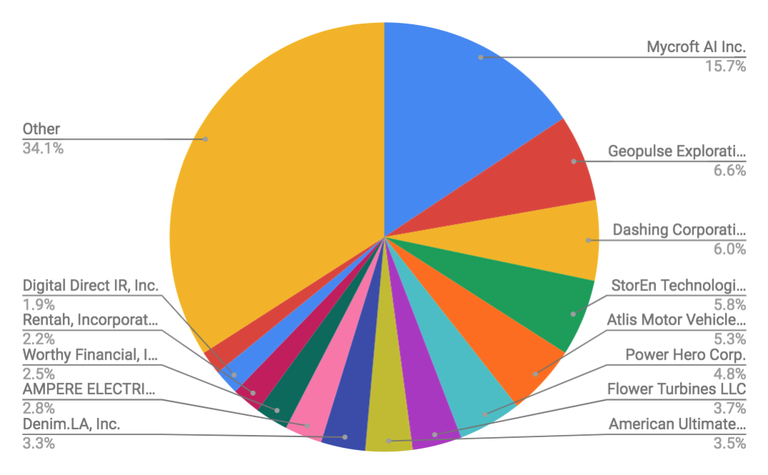 Community members in Reykjavik, Vienna, Amsterdam, and Berlin have been interested in contributing to International language support, and our software stack. Many of them have also invested in Mycroft’s vision - an artificial intelligence that runs anywhere and interacts exactly like a person. Our world tour will soon reach France, Spain, Portugal and the UK where we’ll be talking about support for French, Spanish, Catalan, Portuguese, Welsh, and Gaelic. We’ll also be visiting Asia where we plan to start work on tonal languages like Mandarin and Korean. In order to give these community members an opportunity to invest, we’ve decided to extend our StartEngine Title III campaign for 60 days. This will give our international community an opportunity to invest alongside the 650+ investors who have already joined the company. At the end of this journey, we expect to have more than 1,000 investors from all over the world who stand shoulder to shoulder with us as we work to achieve the vision. Thank you very much for all your support, and we are excited to see all the new members into our community. Mycroft AI Inc. has extended their campaign. It was a big week at Mycroft where the software team hit a huge milestone – the 18.08b release. This is the company’s last beta release before the software goes to production with version 19.02 in February of next year. Among other significant improvements, the team added the Skills Meta Editor so that skills developers can include graphics and icons in their skills. This is the first step toward deploying the Mark II which includes a screen to improve interactions with people. The release also includes a Skills Data Repository which shows developers how their skills are being used by people. This is an important step towards expanding the company’s developer community and enabling more (and more innovative) applications. Also included in this release were a simpler localization scheme, flexible localization tools and wider hardware support, including tools to help support Mycroft on the Mark II and the KDE desktop. Mycroft’s Title III campaign on StartEngine hit the $500,000 milestone today making it the company’s largest crowdfunding effort to date. 580 investors from around the globe have backed the world’s only pure voice play. Our team is humbled and greatfull to have the support of investors and we’re working hard to deliver on our promises. We are building an AI that eventually will interact so naturally people will be unable to tell if they are speaking to a human or a machine. A strong AI to facilitate business and help people navigate the digital realm. Join us on our journey. Invest now. Albert Wenger is a partner at Union Square Ventures one of the most prestigious and successful VC firms in the world. USV invested early in Twitter, Zynga, Tumbler, Etsy and DuckDuckGo. Some of you may have seen Albert’s post about how Big Tech's voice technology is a trap in 2016, but did you know he backed the Mark II Kickstarter? This week he also made a small personal investment in Mycroft along side all of our other StartEngine investors. Albert has also been very generous with his time. He is a mentor to our CEO who has benefited from his insight and informal advice. Albert is also on the record as a strong supporter of open technologies and crowdfunding. His firm has made investments in MongoDB, Disqus and Kickstarter – all of which are important parts of the open ecosystem today. 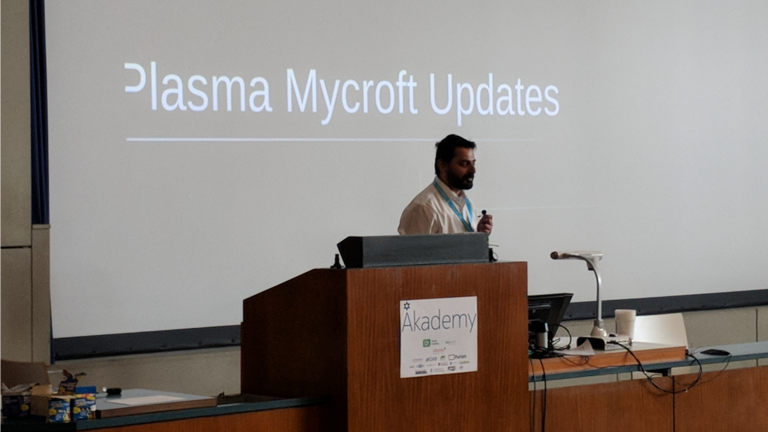 Last week we talked a bit about the KDE Akademy event in Vienna where Mycroft community member Aditya Mehra gave a presentation on his “Mycroft for Plasma”desktop application. Aditya works for Blue Systems where he is responsible for integrating Mycroft into KDE. It turns out the rest of the KDE community appreciates Aditya’s work as much as we do here at Mycroft. He ended up taking home the Best Application Prize for his work with the Mycroft stack. We couldn’t be happier. A few weeks ago we wrote a piece on why we want 1,000 investors on our cap table. This week we discussed why investors are more than mere dollar signs. Our investors help us to spread the word, they contribute data and they help us to refine our technology. They are our biggest cheerleaders. We couldn’t be happier with the investors who have chosen to work with us and we look forward to meeting more. Today we’ve got more than 500 investors in Mycroft. Join them. Invest now. Over the past two months we’ve found 493 investors who share our vision. Investors from all around the world have joined us on our journey. We’re both humbled and blessed to have them on board. Join us today and help us reach 500. This week Venture Beat did an excellent story about the state of the smart speaker market. It is growing faster than even we thought it would. Adoption is growing, as is awareness of issues like privacy and user agency. We’re happy to be building solutions for the portion of the market that wants both convenience and privacy. Our CEO was in Iceland and Austria this week sharing Mycroft’s vision. He met with academics, entrepreneurs and developers in Iceland where there is a strong movement to preserve the local language. He also headed to Austria for meetings with developers and entrepreneurs who are looking to deploy voice technology in German. It was Mycroft’s privilege to be a small sponsor of KDE Akademy in Vienna, Austria. It worked out nicely as a World Tour stop to ensure the broader open source community was included. 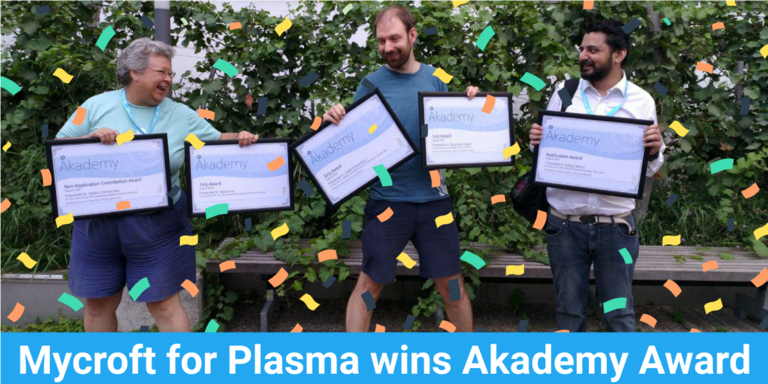 The crowd at KDE Akademy was awesome. I was immediately greeted by Aditya Mehra who is an active member of both the Mycroft and KDE communities. You probably know Aditya by his handle - AIX. We spent the day listening to great talks on subjects like privacy and on boarding developers. We even got a look at how free and open source software is helping to track crimes against humanity in North Korea. That night I got to attend the sponsor’s dinner where I was impressed by folks like Nicole Faerber at Purism, TL Lim at Pine64, and Clemens Toennies at Blue Systems. We had a very nice meal and some deep discussions about how we can expand private, open solutions to people around the world. On day two AIX gave a talk about the progress of Mycroft on Plasma. He has made significant inroads on the effort and the graphics look great. AIX also showed me how the desktop plasmoid can interface with KDE’s mobile system to send directions and other information to the mobile device. Today this is only working if both devices are on the same network, but I can see a future where a web service allows you to share data across all of your Mycroft instances for a seamless experience across wearable - mobile - desktop and embedded devices. It’s been another exciting week here at Mycroft where we’re building the world’s open voice assistant. The technical team continues to make great progress and our internationalization effort is going well. It’s taken more than a year of hard work, but Mimic 2.0 was released this week and became the default voice of Mycroft. While Mimic 1.0 used a parametric approach to creating speech, Mimic 2 uses machine learning. The software uses 16 hours of audio samples to train a model that is then used to synthesis speech. This approach makes it possible to mimic nearly any voice or language by taking 16 hours of samples and feeding them to the model. That means we’ll soon be able so synthesize speech in other languages and accents. Speaking of other languages, our CEO and social media lead have been in Iceland this week working to build support for Icelandic. This is the first stop on their international tour. During their meetings this week they met the team at the University of Reykjavik that is working to build speech recognition and synthesis for Icelandic. 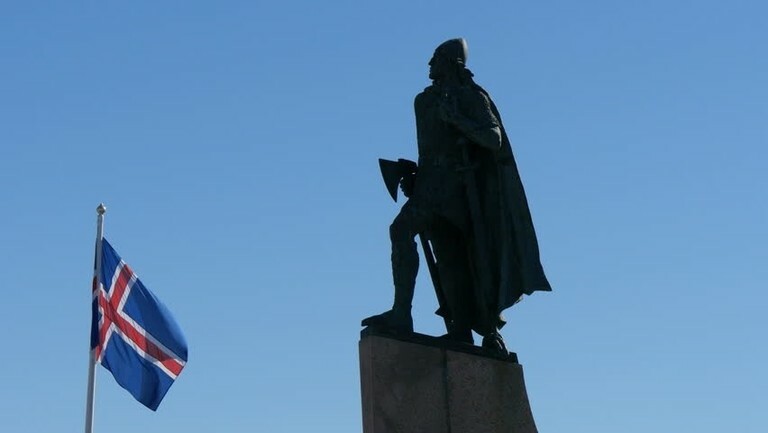 It turns out that the government of Iceland has already funded data collection efforts for the language and the data is all freely available online. Over the next several months the Mycroft community will be working with Mozilla to import this data into DeepSpeech and build the first Mimic 2 powered voice for Icelandic. The Mark II PCB prototypes are powered on and the team is working to get all of the drivers and software working. Unlike the Mark I which required several iterations to work properly, the first iteration of the Mark II appears to be fully functional. We may make some minor changes to handle heat better, but all in all the team is very happy with the performance. According to the Consumer Technology Association and Voicebot.ai the smart speaker market will grow to $3.2B this year with 32 million devices sold. This is yet another piece of evidence about how fast the digital assistant market is growing. Be a part of that growth with Mycroft – the only pure play smart speaker company selling to the public today. Invest now. We started our world tour this week with a trip to NYC for the VOICE conference where a standing room only audience learned more about what makes Mycroft different. The other big cities this week were Bentonville, AR where we debuted packaging for the Mark II and did the first demonstrations of the Mark Ia for Walmart. August 8, 7 PM International Language Support – Bringing your language to the open voice revolution. August 9, 7 PM Startup Fundraising – How to fund your startup. Accelerators, crowdfunding, angels and VC. 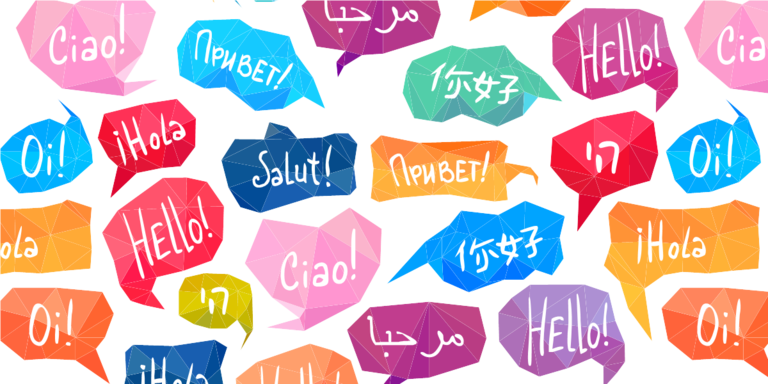 August 12, 5 PM International Language Support – Bringing your language to the open voice revolution. August 13, 7 PM Startup Fundraising – How to fund your startup. Accelerators, crowdfunding, angels and VC. Keep an eye on the company blog for additional information on venues and possible updates on times. This feature will be extremely handy in noisy envitornments like, say, a retail store end cap. In preparation for the trip to Bentonville the team completed the first prototype for the Mark Ia . Warning – it is still a bit ugly, but it is the right overall size and it works. 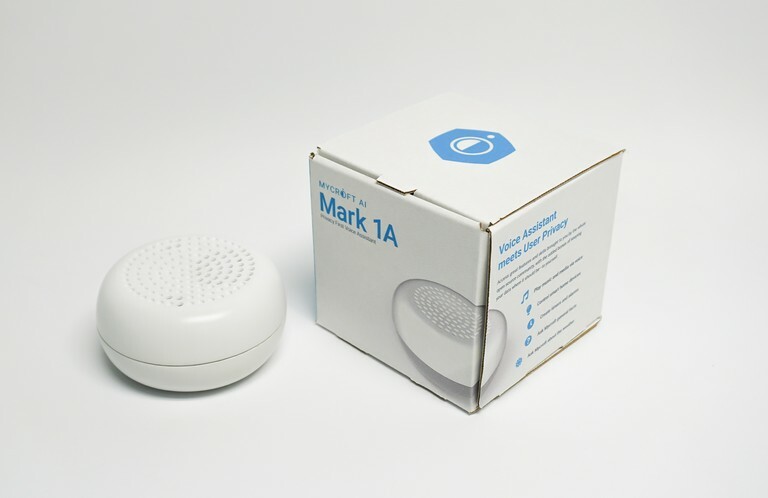 The Mark Ia is intended to retail for around $49 onling and in big box retailers. It will allow people to deploy our voice assistant at minimal cost. We hit 400 investors this week and are well on our way to selling the entire offering. Thanks to everyone who believes in the importance of voice and the future of Mycroft. We couldn’t do this without the support of investors like you. Now is the best time to invest in Mycroft. As our team continues to make progress on the technology, sales and distribution it becomes more and more likely we’ll pursue a venture round. If you believe in voice and want to participate in a pure play in the space, now is the time. Invest today. Mycroft Update - Join the 300! This past week the number of Mycroft investors reached 300, well on our way to our 1,000 investor goal. We have 50 days left on the campaign and we fully expect to hit 1,000 investors by the time we are done. You can help us reach our goal by sharing your enthusiasm about Mycroft with friends and colleagues. Take a moment to share a link and let them know why you’re excited about what we’re building. 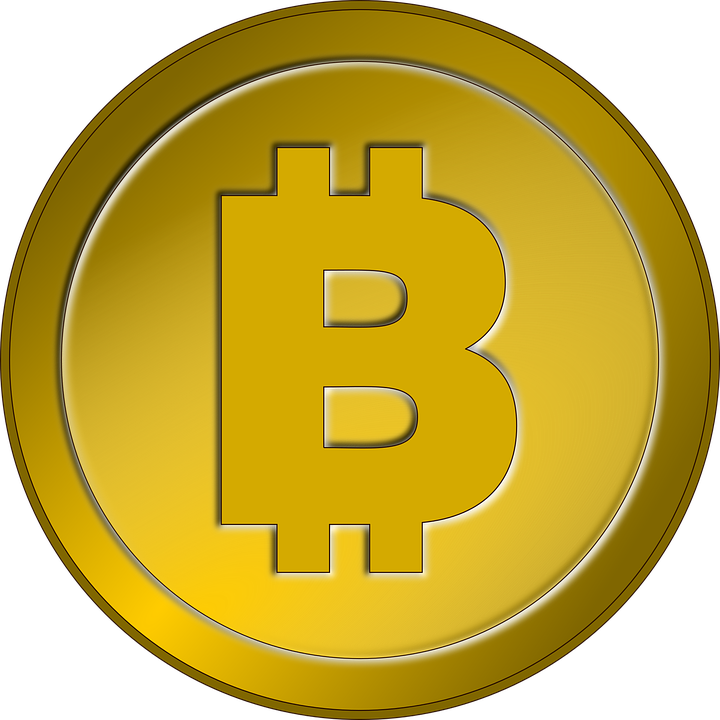 Through StartEngine we are now accepting Bitcoin as payment for Mycroft shares. Sitting on a pile of crypto that you would like to invest elsewhere? Mycroft may a be a great place for you. Voice is a great technology for people with physical disabilities. Touchscreens require fine motor control and voice eliminates this barrier. Our partners at VoiceITT have been working on speech recognition for people who have speech impairments in order to help them to use voice technology in their day to day lives. Take a look at what Voice ITT has accomplished using the Mycroft voice stack. Now is the best time to invest in Mycroft. We're on the verge of releasing 18.08b which will bring a ton of additional attention to our platform and position the company for significant growth. If you believe that voice is the future, now is the time. General Note: We send investors and stakeholders an update similar to this one every month. Note to Residents of Canada and the United Kingdom: After several lengthy discussions with StartEngine and our attorneys we've determined that we can't take investments from Canada or the United Kingdom through this platform. While we'd really love to have you as investors in Mycroft, right now it simply isn't possible. I've brought this to their attention as a serious problem and I encourage you to bring your concerns to StartEngine directly by e-mailing their team at contact@startengine.com and urge them to resolve this problem. Tons of progress at Mycroft this month. Not only did we make significant improvments to the technology stack, we were the momentum leader in US crowdfunding, our community expanded into gaming and we began passing our data to Mozilla to help improve DeepSpeech’s performance for our application. Our Title III fundraising opportunity is going fast. If you haven’t backed it, you should. Printed circuit boards for the Mark II have arrived. Three thousand Mycroft users have opted-in to share their data. The new voice of Mycroft is done, plumbed and comes online this month. Mycroft loves Mozilla. DeepSpeech is now being trained to better serve Mycroft users. 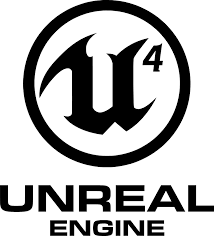 Our developer community has Mycroft working with Unreal Engine. Gamers are about to get access to a real in-game AI. Rocking the Fundraising: Our SEC Title III fundraising opportunity hosted by StartEngine now has 250 investors. We are on track to hit the $1.07M cap. Thanks to our awesome investors Mycroft was the StartEngine momentum leader last month and is featured as one of the most popular crowdfunding efforts on NewChip right now. PCBs Are Here! Printed circuit boards are back from the board house and are being populated this week. We’ll be loading software next week and should have the first functional Mark II pre-production prototype by the end of the month. Everyone here is very excited. Mycrofts! Prepare for Glory! By default we do not log or store data supplied by people who use Mycroft, but we’ve asked community members to volunteer their data in order to improve our machine learning models. This week we crossed the 3,000 mark. 3,000 people who use Mycroft have decided to trust us with their data. We’re using the data to improve our Precise wake word spotter, DeepSpeech speech to text engine, Padatious intent parser and the Mimic speech synthesis engine. One Can of Kusal: Speaking of Mimic, our first production voice is in the can and ready to roll out. 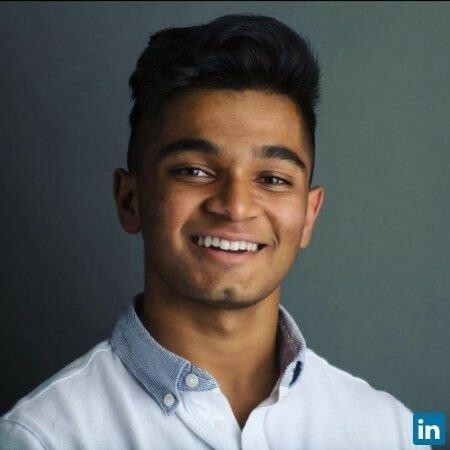 It is an American male voice supplied by our intern ( and champion debater ) Kusal Kularatne. This is the first production Mimic 2.0 voice and it will improve over time, but it sounds great and has just enough“robot” in it to remind users they are speaking with a machine. The human voice is the most perfect instrument of all. - Arvo Part, Composer. This cake is great, it is so delicious and moist. - GLaDOS, Aperture Science personality core. The other place this data is helping is with the DeepSpeech speech to text engine we are collaborating with Mozilla on. We are now feeding real world data from Mycroft users into the DeepSpeech data set where it is helping improve performance for our use case. Anyone can help with this effort by tagging speech samples at https://home.mycroft.ai under “Tagging” > “DeepSpeech”. Mycroft Becomes Unreal: This week one of our community members, @joshua-tree, did the first integration between the Unreal Engine used to power thousands of video games across dozens of platforms. This is an early step toward eventual integration of Mycroft into virtual environments where people will be able to speak to an AI to improve game play. In 2017 the video game industry reached $108B in revenue. Mozilla held its annual all hands meeting in San Francisco and paid for our CTO Steve Penrod to attend. Steve’s team at Mycroft has been working closely with the Mozilla DeepSpeech team to improve the state of the art in open source automated speech recognition and this was an opportunity to sync up. Mozilla has identified the voice market as critical to the future of the company and Mycroft is square in the middle of it representing the open community. Take at look at Steve’s re-cap of the event and stay tuned for future announcements about Mozilla and Mycroft. In other news this week, Felix Salmon wrote a great piece in Wired about how the inability to invest in private companies takes away opportunities for small investors. His basic point is that the huge gains investors realized in companies like 1990’s Amazon are no longer available to small investors. Instead VC firms scoop up all of the double digit gains and investors are only able to participate once the companies are mature and go public. Here at Mycroft we couldn’t agree more, which is why we launched our StartEngine campaign and are accepting investments from anyone. If you want to join us on our journey to create an AI that runs anywhere and interacts exactly like a person, go ahead and invest now. Our first week at StartEngine was a great...success. Thanks to all of the investors out there that believe in what we are doing Mycroft was the top ranked equity crowdfunding campaign in the county last week according to Crowditz. That strong momentum has continued this week as more and more early stage investors discover our opportunity. If you haven’t backed the campaign yet, now is a great time to do it. Invest now. 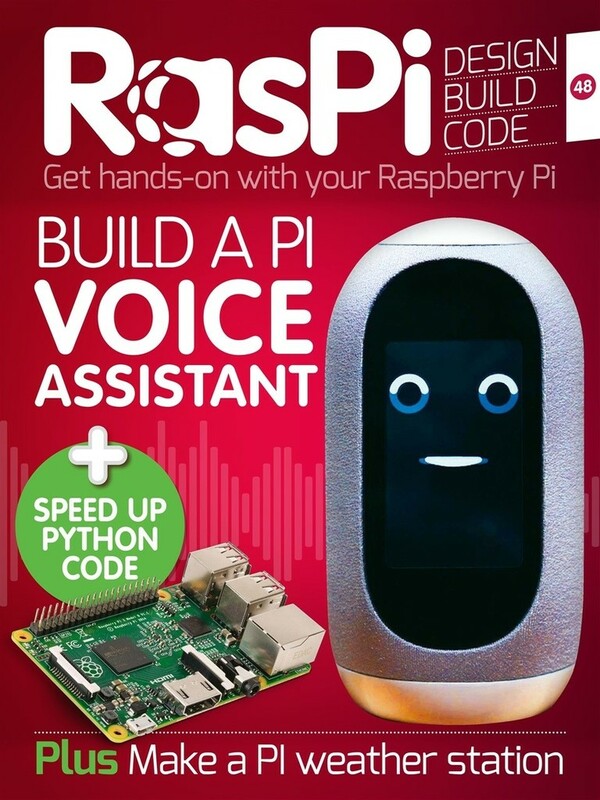 Mycroft also landed in a couple of new publications last week including the cover of Raspi Magazine and a nice mention in Linux Journal. If you are a maker or hacker consider spending your weekend playing with Mycroft on Raspberry Pi, you’ll be amazed at what you can do. Speaking of doing cool things with Mycroft, our community member Christopher Rogers built a fantastic skill this week that allows Mycroft users to create complex routines using nothing but their voice. No coding skills required. Check it out. Special thanks to StartEngine this week. They’ve been very supportive of our campaign and we’re excited to be working with them. If you haven't already, invest now. Who would have guessed that our first week on StartEngine would be better than ourfirst week on Kickstarter? It has been great to see all of the interest in Mycroft - the world’s open voice assistant. As a result of our success we’ve now got community members in the forums who’ve changed their bios to “Mycroft Investor”. That is awesome to see. We want the men and women who are collaborating with us to build Mycroft to benefit from the company’s growth. So what else did we do this week? In addition to managing the StartEngine campaign we’removing forward with the selection of our contract manufacturer. I toured a candidate’s facility in Freemont yesterday and was hugely impressed with their automated assembly line. The software team continues to make good progress and our CTO Steve Penrod has been in San Francisco as a guest of Mozilla. Good things may come of that. Based on the rate of investment and our past experience in crowdfunding on Kickstarter, Indiegogo and Crowdfunder it looks to us like this campaign will reach its full allocation of $1.07M so if you’re interested in owning a piece of the future of voice please consider investing in Mycroft now.